– Put chicken breasts, fish sauce, light soy sauce, oyster sauce, brown sugar,chopped garlic and ground black pepper in the big bowl. Mix all ingredients well and leave the chicken to marinate for at least 1 hour. – When you are ready to cook, preheated the oven at 200 Celsius. – Lay 6 Pandanus leafs to create the wrapping blanket,then put the chicken breast on the end of the leafs. – Turn and roll the leafs around the chicken make sure that the leafs are cover the chicken well. Use the toothpick to secure the leafs with the chicken. Repeat the same method for the second chicken breast. – Transfer the wrapped chicken breasts on to baking tray. Spray the water on the leafs before cook them in the oven for approx 40 minutes, turn half way. – While waiting for chicken to be cooked. Put the dark soy sauce , brown sugar and cider vinegar in the pan. Heat and stir gently until the sugar dissolves. Keep stirring until the sauce become thicken. – Once the chicken is cooked. 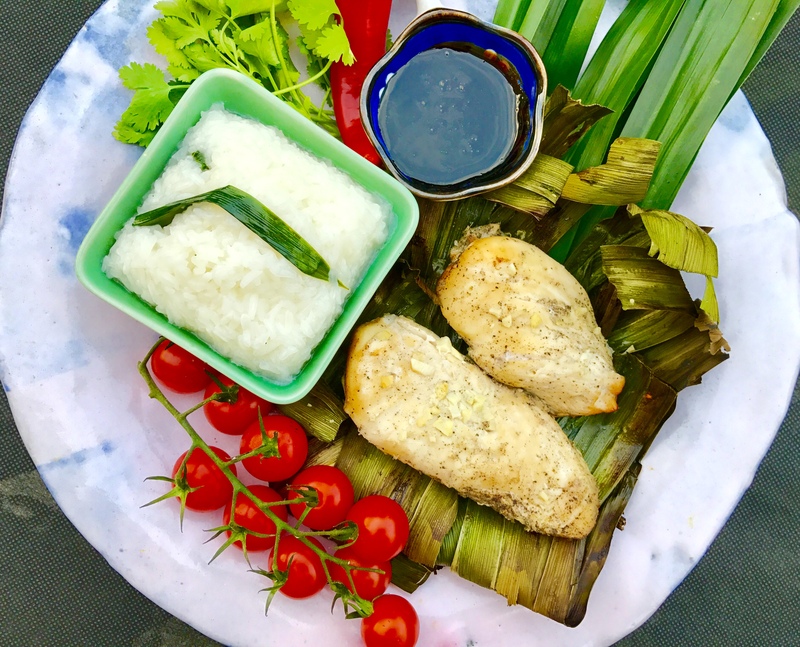 Cut the leafs with the scissors, drizzle with soy jus and enjoy Aromatic Chicken In Pandanus Leaf. -Heat the Pandanus leaf on the hob to soften which make it easier to wrap the chicken. 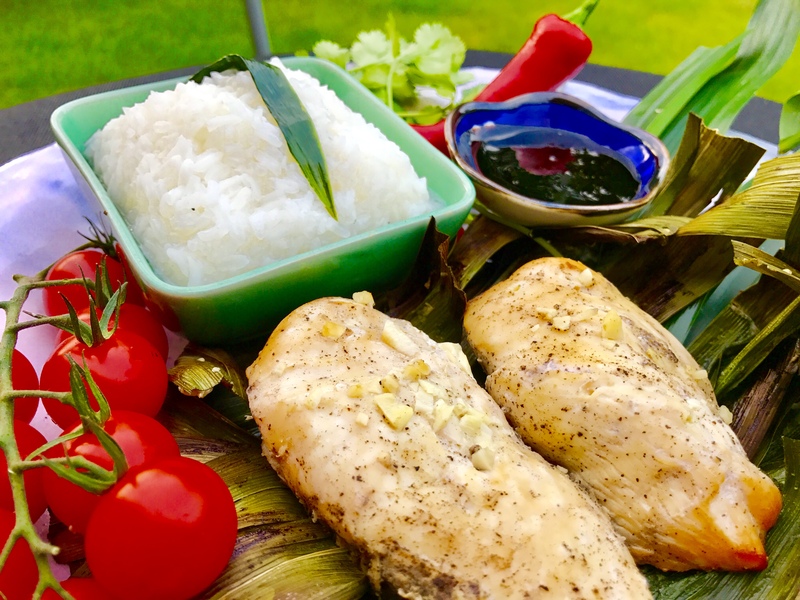 -Children love this Chicken In Pandanus Leaf dish and healthier than chicken nuggets!